Something changed my life forever. ~이 나의 인생을 영원히 바꿔 놓았지. 자전거 여행이 내 인생을 영원히 바꿔 놓았지. Bicycle touring changed my life forever. 그 책이 내 인생을 영원히 바꿔 놓았지. The book changed my life forever. 요리법을 배우는 것이 내 인생을 영원히 바꿔 놓았지. Learning how to cook changed my life forever. 자격증을 취득한 것이 내 인생을 영원히 바꿔 놓았지. Getting my license changed my life forever. 아이를 갖는 것이 내 인생을 영원히 바꿔 놓았지. Having a baby changed my life forever. 사고에서 살아 남은 것이 내 인생을 영원히 바꿔 놓았지. Surviving my accident changed my life forever. 어떤 일이 났는지 보는 것이 내 인생을 영원히 바꿔 놓았지. Seeing what happened changed my life forever. 요가에 흥미를 가지게 된 것이 내 인생을 영원히 바꿔 놓았지. Getting turned onto yoga changed my life forever. 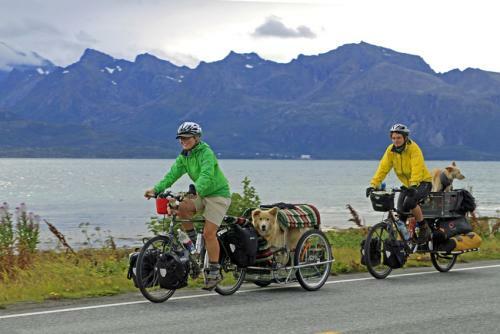 A: Bicycle touring changed my life forever. 자전거 여행이 나의 인생을 영원히 바꿔 놓았지. B: It’s nice that you found your passion. A: Having a baby changed my life forever. B: Either you’ve been there or you haven’t. 경험해 보거나, 아니면 못해 보거나 둘 중에 하나이지. A: Getting turned onto yoga changed my life forever. B: It does that to people. 요가가 사람들에게 그런 영향을 미치지.